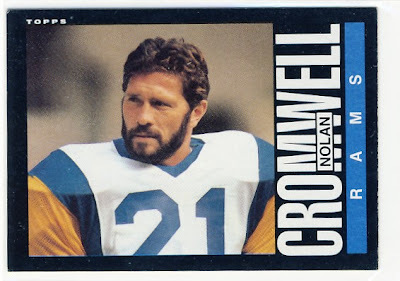 Nolan Cromwell was a four-time Pro Bowler safety for the Rams in the 80's but before that he was playing quarterback for the Jayhawks. Nolan was known for his rushing attack as a quarterback and is still the all-time rushing leader for the QB position. When I saw "Nolan Cromwell" listed as a former Jayhawk I said to myself where have I heard that name before. 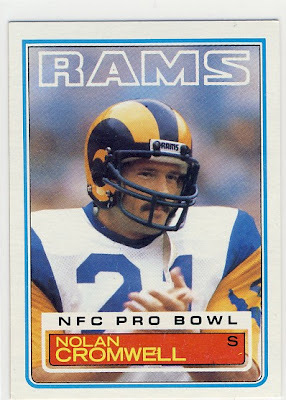 Sure enough, it turns out that Nolan was the special teams coach for the Packers during their two trips to the Super Bowl in the 90's. So thanks Nolan for inspiring Desmond Howard to return that kick off for a touchdown in Super Bowl 31!